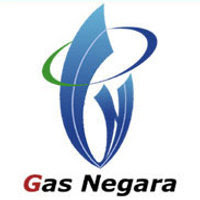 Lowongan Kerja PGN PT Perusahaan Gas Negara (Persero) Tbk, PT PERUSAHAAN GAS NEGARA (Persero) Tbk, known as PGN is a state-owned enterprise in transmission and distribution of natural gas through pipelines. With 46 years experience in natural gas, PGN believes that natural gas is one of Indonesia s natural sources of energy that should be useful for Indonesian. Therefore PGN commits to provide best service in supplying natural gas by giving the priority to customer satisfaction and excellent service. As PGN s commitment in providing natural gas for the customers, PGN intends to develop LNG receiving terminal unit as a new mode of gas transportation. In 2010, PGN recorded income from operations growth by 177% to Rp9.04 trillion, reflecting the sustainable business growth of the Company. As a go public enterprise, PGN is managed by a dedicated team, has global experience and good understanding of local value. Participate in a leading role in preparation and maintenance of the Company strategic action plan for downstream gas business development. Experience in preparation of feasibility studies and technical and economical evaluation of mid- and downstream gas business opportunities, particularly in power generation and industry. Participate in a lead role in preparation and maintenance of the Company strategic action plan for upstream business development. Experience in preparation of feasibility studies and technical and economical evaluation of energy business opportunities, particularly in the upstream oil and gas business.